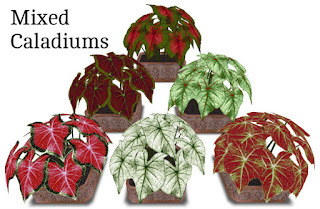 If you love colourful leaves on plants, I have these lovely caladiums for you. Each is 1LI. 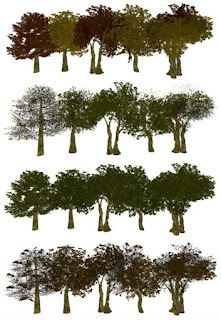 I also have these seasonal Oak Trees. 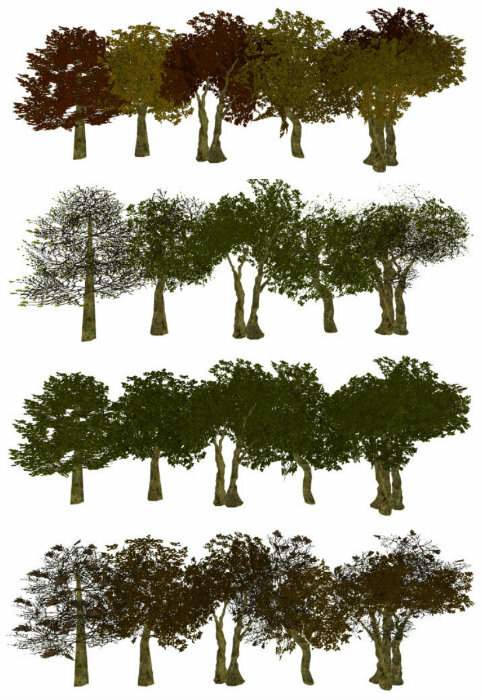 Autumn, Spring, Summer, Winter. There are 2 packs, one with static leaves and one with swaying leaves except Tree1 which is a one-unit tree. All trees and caladiums are copy, modifiable and no transfer. If you make the trees larger, the land impact will rise. 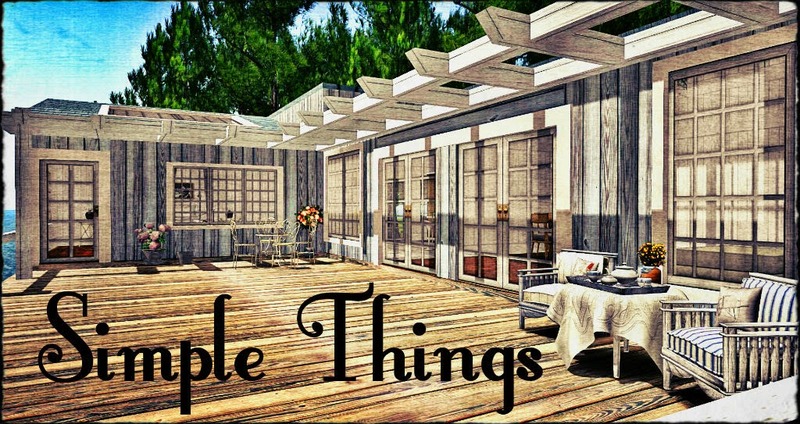 The Mixed Caladiums is available for 199L in my in-world store the Marketplace. 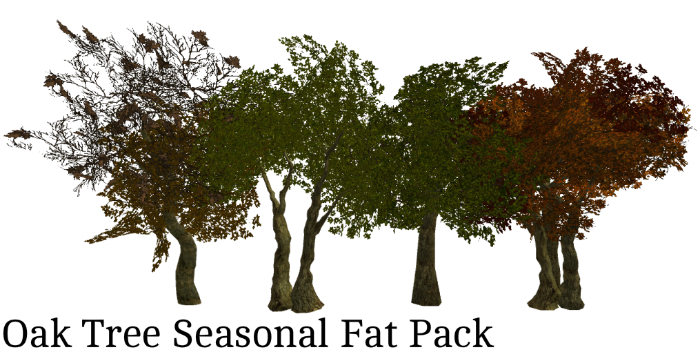 The Oak Tree Seasonal Fat Pack is available for 199L at my in-world store and the Marketplace. Please see the demo at my in-world store.